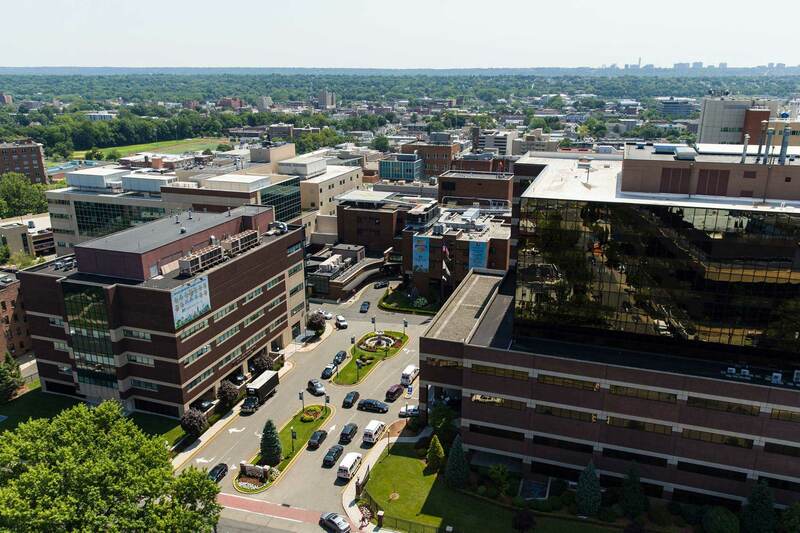 On behalf of our faculty, welcome to the Department of Obstetrics & Gynecology at Hackensack University Medical Center, one of the nation’s leading health care institutions. Our department includes more than 100 physicians skilled in providing high-quality, highly compassionate healthcare services for women of all ages. Advanced diagnostic and therapeutic technologies enable our medical team to treat many gynecologic and obstetric problems with a minimally invasive approach. Our maternal-fetal medicine specialists diagnose and treat women with complex, high-risk pregnancies while our highly specialized physicians in reproductive endocrinology offer advanced reproductive technologies that increase a couple’s chance of achieving a pregnancy. Additionally, our gynecologic oncology services and research are nationally recognized. Our obstetrical unit is consistently ranked among the busiest Labor & Delivery units in the tri-state area, with annual deliveries in excess of 6,000. The Donna A. Sanzari Women’s Hospital is an exceptional facility that provides our patients with state-of-the-art care provided by highly skilled professional physicians, nurses and allied health professionals. 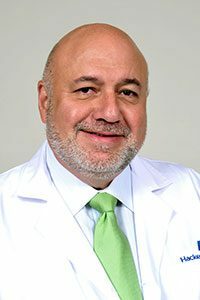 Hackensack University Medical Center offers a wide range of gynecologic services, including minimally invasive surgical technologies which have revolutionized the practice of gynecology. Using these technologies, has transformed many gynecologic procedures from traditional surgeries that required days of hospitalization and weeks of recovery, to minimally invasive procedures that can be performed on an outpatient basis and take only days to recuperate. Hackensack University Medical Center is a designated training site for the use of the daVicini® Robotic Surgical System. The Department of Obstetrics and Gynecology currently has many accomplished minimally invasive surgeons using the daVinci® Robotic Surgical System. Our department has continued to explore the use of this advanced telerobotic technology in performing a variety of benign and malignant gynecologic conditions. This is an exciting time at our institution with the establishment of our new medical school, the Hackensack-Meridian School of Medicine at Seton Hall University, and with the expansion of our Graduate Medical Education Programs. Thank you for your interest in the Obstetrics and Gynecology Residency Program at Hackensack University Medical Center. I encourage you to further explore how our program will help prepare future physicians to be active members and potential leaders in our field. The Donna A. Sanzari Women’s Hospital is a Regional Perinatal Referral Center, Level III NICU and performs more than 6,000 deliveries yearly with 80% epidural utilization. The Joseph M. Sanzari Children’s Hospital houses the Pediatric Surgery Center, Tomorrow’s Children Institute for Hematology/Oncology, and PICU. Close to 4,000 pediatric surgeries are performed yearly. Many of our physicians are fully engaged in research and clinical trials, bringing this knowledge and experience in the latest treatment options here to our patients and their clinical colleagues.